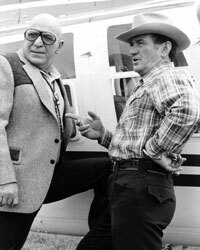 Rod Taylor played Texas mob boss Clint Tolliver in this pilot for a would-be CBS series starring Telly Savalas. Airing on March 10, 1981, it was Savalas' first major TV project since "Kojak." In reviewing the pilot, Washington Post TV critic Tom Shales proclaimed it to be "good solid fluff" and "almost certain to be a series on the CBS fall schedule." Alas, the series never materialized. Savalas played a maverick Philadelphia criminal lawyer named Nick Hellinger. He's cajoled into going to Houston to defend an accountant accused of the murder of a sleazy local TV reporter. Tolliver's organization employs the accountant, but so does the Justice Department, using him as an undercover agent informing on Tolliver's underworld dealings. Although his character is a large factor in the plot, Rod -- billed as a "special guest star" -- doesn't get nearly enough screen time. 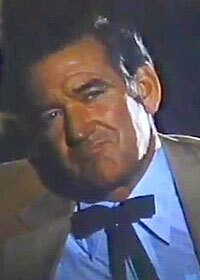 Stephen Vagg, in "Rod Taylor: An Aussie in Hollywood," praises the pilot and Rod's performance: "The movie is full of top-notch acting, sparkling dialogue and a compelling story; Rod makes a very sympathetic crime lord, perhaps lacking a little in ruthlessness." "Hellinger's Law" was directed by Leo Penn, father of actor Sean Penn, who has an ever-so-brief, uncredited appearance in this show. Here are Rod's scenes, clipped from a old recording of the show from TV back in the 1980s.